The A'Sustainable Products, Projects and Green Design Awards is an annual event that admits submissions by talented designers from all around the World. The A' Worldwide Sustainable Products, Projects and Green Design Award Competition is accepting several different design projects such as Eco sustainable projects, environment friendly designs, bio-degradable products and more that were proposed and/or completed within the last 10 years. Since design projects are accepted, a grand international group of professional jury members will judge the projects for both their technical content and artistic creativity. Jury members will be looking forward to choose design projects that have a capacity to influence sustainable products and green design professionals worldwide towards the creation of unique and original designs. Submissions to the A' Sustainable Products, Projects and Green Design Awards Competition will be judged and reviewed against predefined evaluation criteria such as creativity, high qualities, innovative approach and sustainable manufacturing. 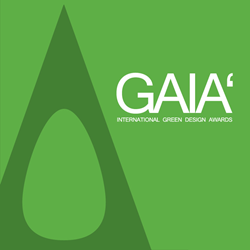 Late Deadline to the A' Sustainable Products, Projects and Green Design Award is on March 7, 2018 with announcement of results on April 15, 2018 through the wide network of design media. Winners of the A' Sustainable Products, Projects and Green Design Awards will be awarded with the A' Worldwide Design Awards’ original 3 dimensional printed metal trophy, excellence in sustainable products and green design certificate, immense PR campaign, hardcover yearbook of best design projects and many other benefits such as exclusive invitation to the Award Ceremony (Gala Night) and Exhibition Opening that will held in Como, Italy.